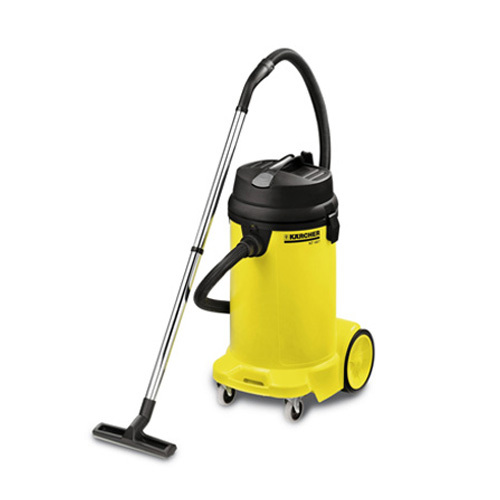 High quality, high performance wet & dry vacuum features a large 48L (12.6 gal.) tank with drain hose system, extremely efficient cylindrical dust filter, large rear wheels combined with lockable front swivel casters for outstanding stability and ease of use mobility. Accessories ride on-board for operator convenience, including a recessed vacuum head for extra tool storage. Attractive price will accommodate even the tightest cleaning equipment budgets.